Have you got your romantic meal planned? Asparagus? Oysters? Caviar? Perhaps Spaghetti Bolognese a la Lady and the Tramp? Or, are you being whisked off for a slap up meal, after having sipped Champagne in a rose petal bath? Well, if you are like me and not particularly romantic, forward planning, or fond of lolling in baths, this quick and easy recipe is a cheat’s way of getting in the spirit of Valentine’s Day. The great thing about this quick recipe is its versatility. Not only is it easily veganised, you can enjoy it hot with the frozen berries – iced berries if we are being cheffy – or cold, layered with bananas, yogurt and chopped nuts for a quick parfait. In fact eaten cold it’s a dead-ringer for a certain brand of US pudding dessert that rhymes with ‘yellow.’ But without the colourings, flavouring and general weird stuff. If you normally reach for a bottle or jar of chocolate sauce maybe give this a try. It’s so easy and delicious you might decide to make it on a regular basis: to pour over ice cream, toasted brioche, waffles or pancakes; or even cold as a dip for fresh fruit. This is a great way of getting kids, big and small, to have a portion of extra fruit as well as being a healthier way to enjoy a chocolate fix. Feel free to adjust the sweetness to your liking as well as add in extra flavours – a few drops of Kahlua for adults, a bit of chopped chocolate for richness, or maybe some rosewater or malt syrup for another flavour direction (the latter to taste like Horlicks!). The recipe is just a template. And, just a thought: homemade body paint anyone? The perfect Valentine’s surprise. Ooh, saucy! 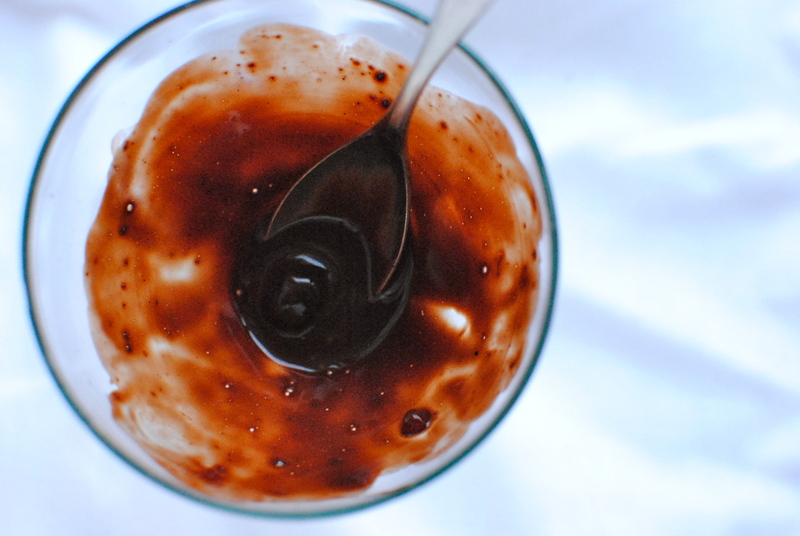 Super-quick and delicious chocolate sauce for use cold or hot. Make it with almond milk to keep it vegan; add grated dark chocolate to make it richer. Why use fat-laden shop-bought when you can make – and customise – the real thing in a matter of minutes? 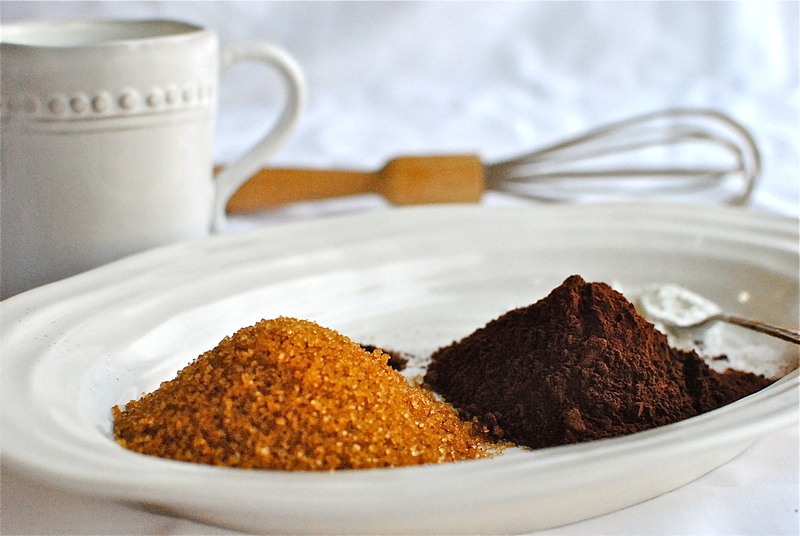 Pop the cocoa powder, sugar, cornflour/cornstarch, salt and vanilla powder (if using) into a saucepan, giving it a good stir. Pour in one-quarter of the milk and stir to a paste. Slowly pour in the rest of the milk (and vanilla extract, if using), whisking constantly until completely mixed. Slowly bring to the boil – about 4-5 minutes – then turn down the heat and simmer the sauce until thickened – about two minutes. If adding chocolate, do so when the sauce is turned down to a simmer. *If you want to make this like American-style chocolate pudding use double the amount of cornflour/cornstarch. Divide the frozen berries between four serving dishes or glasses and pour over the sauce. Oh this looks far too good! This looks really yummy ! This looks so good! 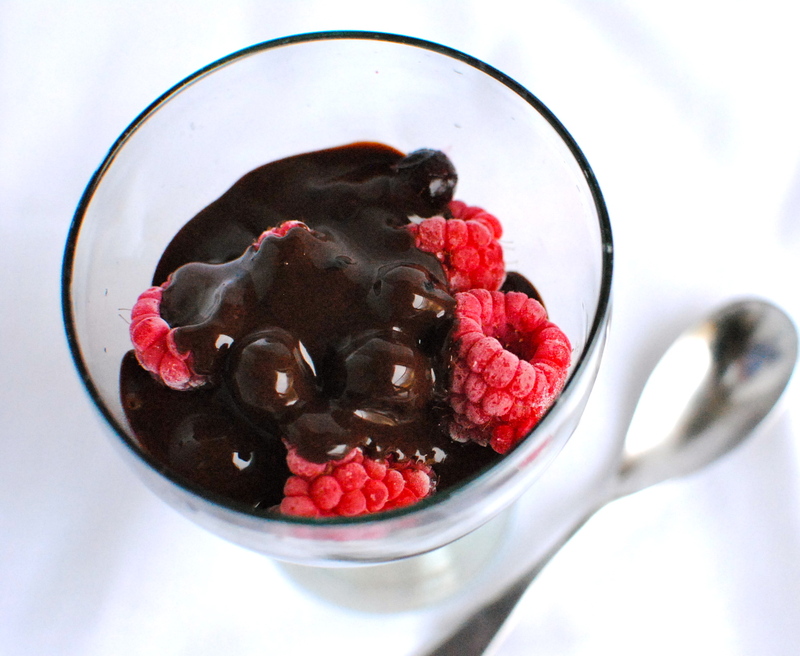 Chocolate with berries…can’t go wrong! I love eating berries year round and this – I think – is a good, slightly indulgent way to enjoy frozen ones. I hope your Valentine’s Day was memorable! Easy is key. I like to concentrate on the main meal and literally whip up a quick, healthy pudding. Occasionally! 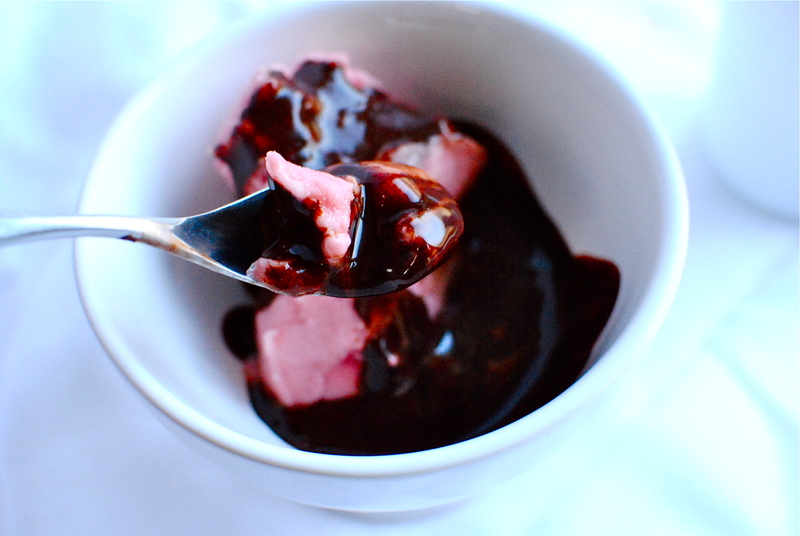 Strangely, I never think to make chocolate sauce and yet you are right, it’s the perfect simple pudding to go with fruit or yogurt or ice-cream. Now, I have the perfect dessert for our friends tomorrow night. Decadent, yet lovely! Plus, they love chocolate. Mmmmmm, great idea Kellie. Inspired!! This was beautiful Kellie, would have it again. I made dark choc with pomegranete as well it was lovely. Ooh, thanks for letting me know Jackie. Pomegranates sound both delicious and pretty. Also, of course share the recipes. If she puts them in a handout for the group I would appreciate acknowledgement. Thank you for thinking of me in this context. I hope the dietary changes are going well. 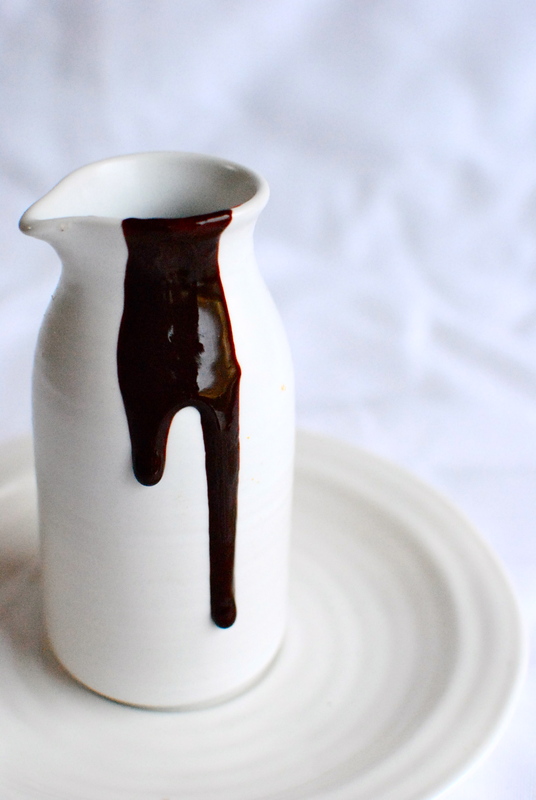 I love the shot of the pottery carafe with the chocolate sauce running down it. Personally, I find hot and cold foods too much of a contrast to eat together. Actually chilly foods in general make me too cold. But as always your take on it is appetising. Hey, wanted to let you know your recipe is featured today on our blog. Your recipe is SO yummy, easy, and good for us!! Thanks for sharing it. 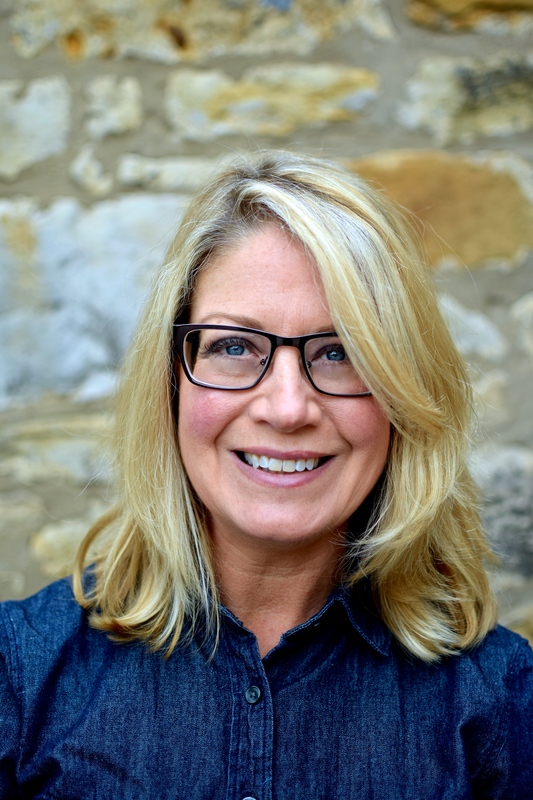 Thank you very much Susan for the fantastic feedback and recipe big-up on your own blog. I love that you were happy enough with it to give to your friends. The pork looked great! You are so welcome. Glad to share a yummy chocolate item with the world. LOL! this looks amazing, and semi-healthy!